George was born in 1856 at Waldridge, nr Chester le Street, Co Durham to parents Matthew and Margaret. Matthew was a coal miner. George was converted when aged sixteen at Waldridge Fell in the Chester le Street circuit. At nineteen, George became a local preacher and in 1878 entered the Sunderland Theological Institute. As a preacher he had a fine presence; his style was homely and direct, not without humour, with an evangelical passion. 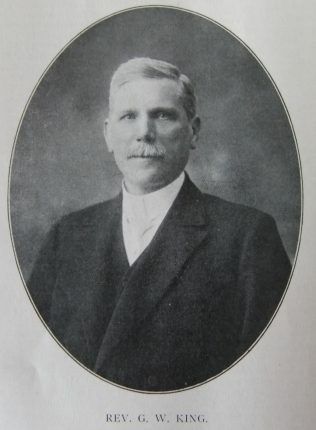 George served as District Secretary, and as secretary to the District Missionary, Building, Sunday School, Christian Endeavour and Education Committees at various times throughout his ministry. George married Mary Marshall (abt1861-1887) in the summer of 1883 at Sunderland, Co Durham. Census returns identify one child. He married Nancy Glendenning (1855-1907) in the summer of 1894 at Huddersfield, Yorkshire. 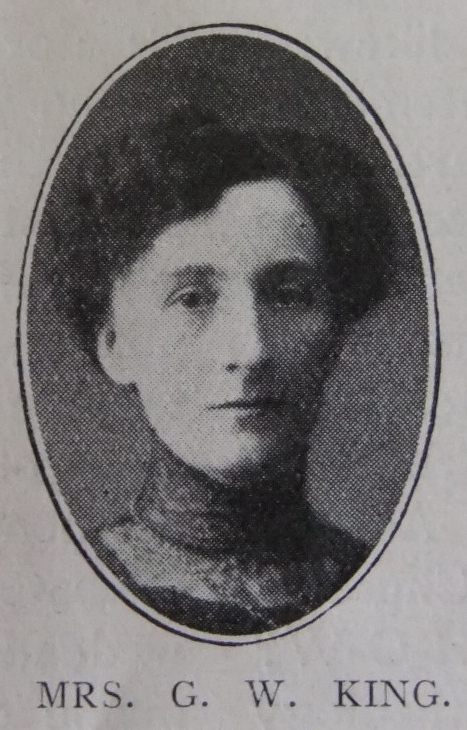 George married Emily Lund (b1878) in the spring of 1909 at Silsden, Yorkshire. Emily was a grand-daughter of Rev James Bootland. George died on 15 April 1944 at Hexham, Northumberland.